Tossed in a candied orange sauce these brussels sprouts and carrots will have your guests coming back for more. Cook Brussels sprouts according to package directions. Drain vegetables, mix together and keep warm. In saucepan, melt butter over medium-low heat. Stir in orange juice, maple syrup, mustard and orange peel. Add cranberries and vegetables. Toss to coat. 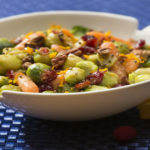 Serve with pecans sprinkled over the top. Some frozen vegetable combinations also include cauliflower. Vegetable combinations are limited only by your imagination! 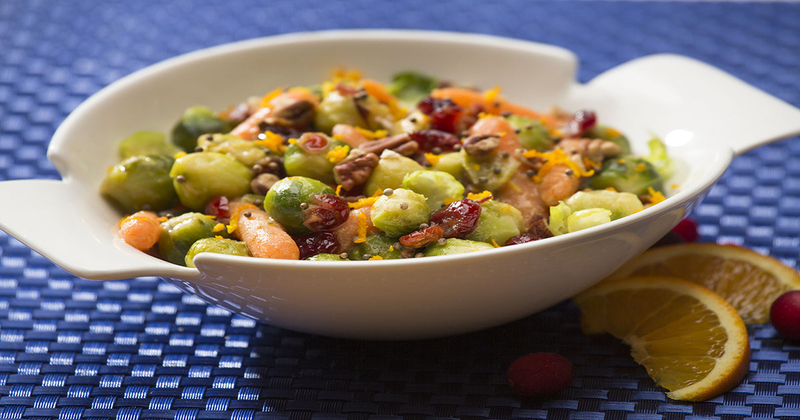 Try roasting Brussels sprouts and carrots for added flavour.